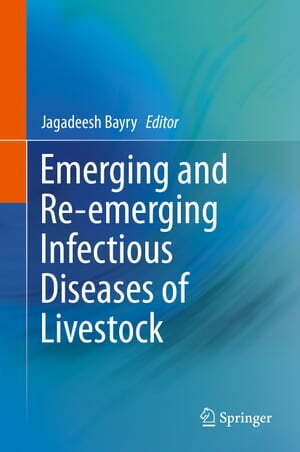 Collins Booksellers - Emerging and Re-emerging Infectious Diseases of Livestock by Jagadeesh Bayry, 9783319474267. Buy this book online. This book provides comprehensive knowledge on diseases in livestock that are caused by viruses, parasites and bacteria. Emerging and re-emerging pathogens are presented in detail for various animal groups and in-depth insights into pathogenesis and epidemiology will be provided for each of them. In addition, state-of-the-art treatment possibilities, control measures as well as vaccination strategies are discussed. The recent years have witnessed a sharp increase in the number of emerging and re-emerging infectious diseases of livestock and many of these, including Influenza, Corona and Hanta are of public health importance. The reasons for this development are manifold:changes in the climate, life cycle of vectors and increased global travel. Also, due to extensive deforestation, livestock are increasingly coming in direct contact with wild animals that are reservoirs of many emerging pathogens. Recent progress in diagnosis and management of emerging infectious diseases are also topic of this book.